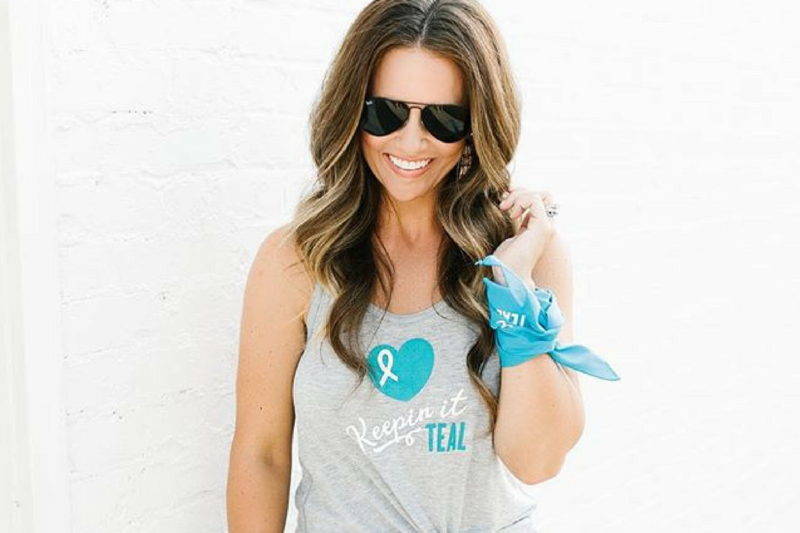 Brooke Webb is an an American fashion and lifestyle blogger and mum of two, who has amassed a following of over 120,000 admirers on her popular Instagram account. Her blog KB Styled showcases some of her most fabulous outfits and is the perfect place to get some inspiration for your next look. She is also a makeup expert, and shows her followers how to perfectly apply a huge range of different makeup looks! Her eyewear is pretty enviable too and always finishes off her outfit perfectly. We have pulled together some of our favourite outfits featuring eyewear from her Instagram. Keep reading to discover how you can steal her style! 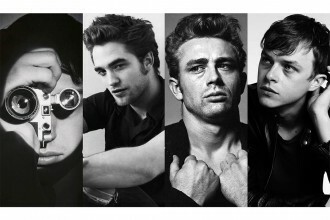 Black aviator sunglasses are a fabulous item to have in your eyewear wardrobe. They are the perfect accessory for almost any outfit and will instantly give you some style kudos. We love how Brooke has teamed them with a gorgeous pink maxi dress, black mules and a floral embroidered leather biker jacket. Steal her style with the Ray-Ban RB3025 Aviator. These sunglasses are one of Ray-Ban’s most iconic pieces and are available in over fifty different colour options from SelectSpecs. 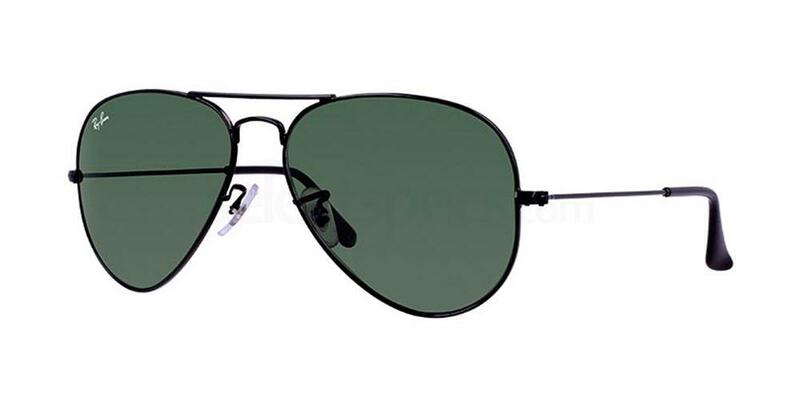 This pair have a thin black metal frame and dark green tinted lenses which we love. Cat-eye frames will add some gorgeous feminine glamour to any look. We love Brooke’s tortoiseshell pair here, which she has teamed with a pretty and colourful paisley dress. With her tousled hair and gold accessories, she has put together the perfect summery boho look! 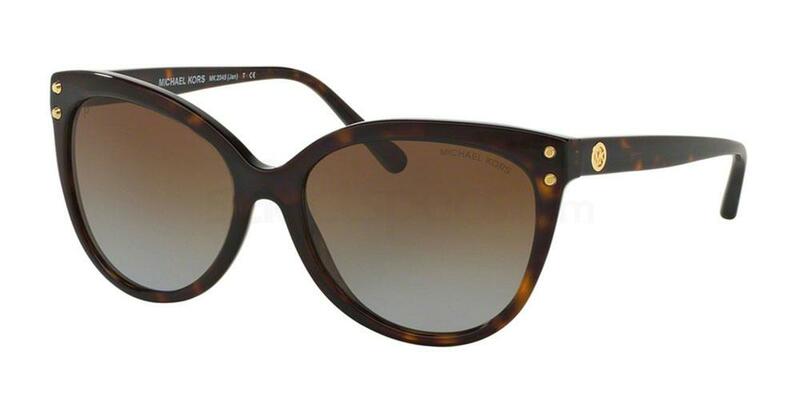 Steal her style with the MICHAEL KORS MK2045 JAN. They have thick tortoiseshell frames, brown tinted lenses and gold detailing which lend the pair a luxurious feel. Be sure to check out the other five colours in this style! Brooke is wearing some gorgeous pink square framed sunglasses in this outfit, teaming them with a colourful polka dot dress for a striking and fashionable look. We love the bright red boots – the perfect footwear for Autumn and Winter! 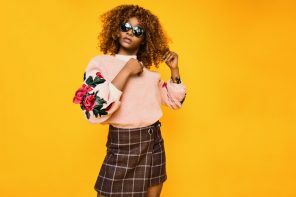 The pink frames are so subtle that they don’t detract from the rest of the outfit, which is important to consider when you are wearing very bright clothes. Get the look with the JIMMY CHOO CHARI/S. 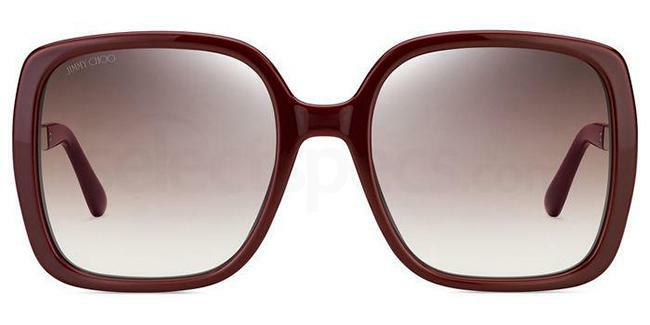 These gorgeous sunglasses have brown/burgundy oversized square frames and dusty purple. They are also available in four other beautiful colours. Wide leg palazzo trousers are so in fashion this season, and Brooke’s pair look fabulous teamed with her palm print kimono. We love how she kept her accessories simple, with a black leather shoulder bag and some black oversized frames. You can steal her style with the MICHAEL KORS 0MK2024 ADRIANNA II. 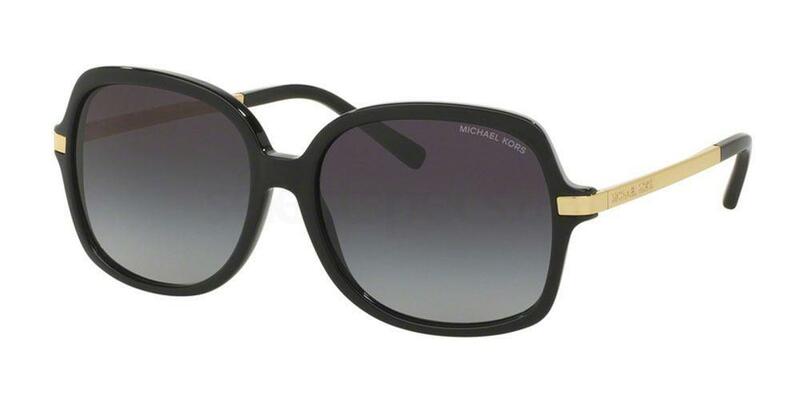 These glamorous sunnies feature a black frame, dark grey gradient lenses and gold metal temples. They are also available in four other colours, including a pretty pink tortoiseshell colour which we love. Read this article to discover how to take care of your new specs!